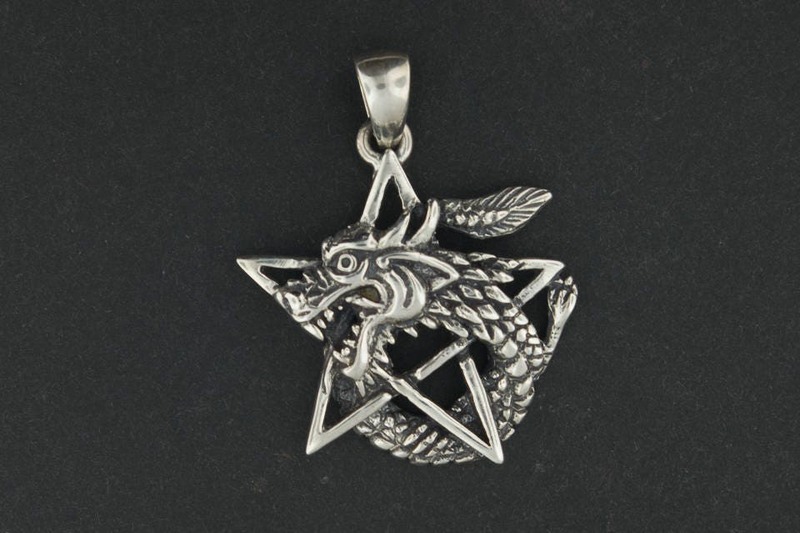 This handmade dragon pentagram pendant is made in sterling silver with a bail is made large enough for a standard chain, and is antiqued to show the contrasts in design details. The dragon curves around the pentagram adding the symbol strength and power. The pentacle meaning can be seen as many different things, but one commonality is that the pentacle is a symbol that represents Earth, Air, Fire, Water at each of its five points and the Spirit as the center. 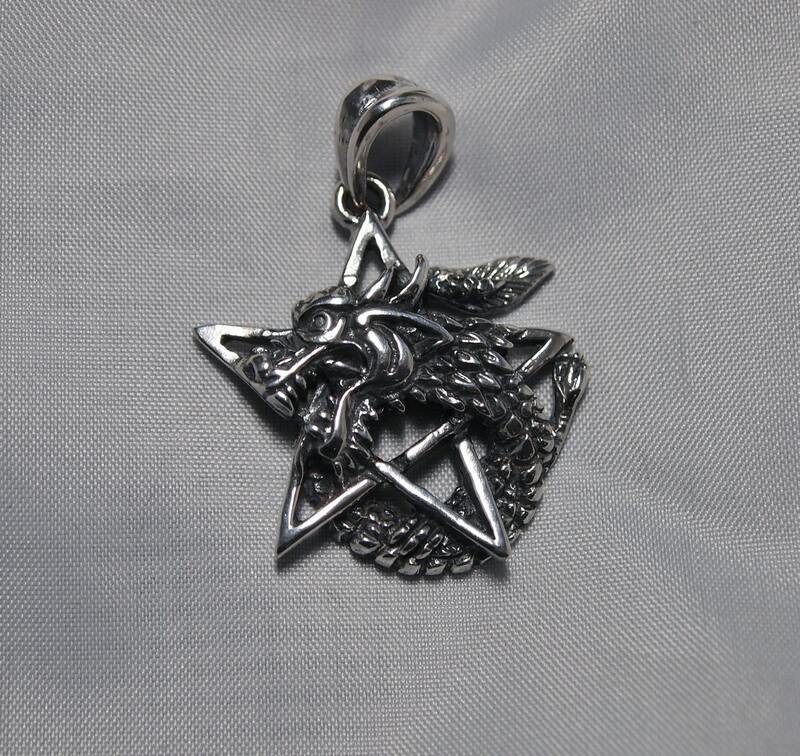 These are often worn by people of pagan faiths such as Wicca and other communities. Occasionally I go around a look for inspiration for new pieces, especially for ideas not found here in Montreal. Sometimes I come up with a creative idea inspired by nature. Sometimes I see something available only in pewter or costume jewellery that people like me can't wear due to skin allergies. This is one of them. This is a reproduction of a pewter pendant I found at a fair I was in out in Ontario. The original was in seriously need of fix up, so 4 hours of touch-ups, adding a loop instead of just a ring, and making it almost perfect for perfect copies, I was able to make a production in sterling silver and antique bronze.